This Beta Project will look at whether we can green streets and better manage rainwater coming from people’s roofs by exploring the idea of ‘Rain Box Planters’. If commenting on social media please add #RainBoxBeta and #DCCbeta to help everyone follow the conversation! Excess rainwater in sewers causes flooding downstream and the overflow (which needs to go somewhere) spills into the River Liffey and other rivers (after heavy rain, you might see an area of different-coloured water in the river – that’s a sign that the drainage system has reached capacity). Dublin City Council has policies in place to reduce the amount of rainwater entering sewers from new developments. However, we need to look at existing development to see where we can make improvements. At a personal level, rainwater spilling across pavements from downpipes (as per the above video) can also make for an unpleasant walking experience in the city. The goal of this project is to implement new surface-water management techniques, working with property owners and property managers to intercept rainfall at source and manage it using what are considered to be more sustainable methods. About 80,000 litres of rainwater per property goes down the drain every year from the typical Dublin brick “two-up, two-down” terraced house, and this clean rainwater costs Dublin City Council and the taxpayer €18 per property per year to transport and treat at Ringsend Wastewater Treatment Plant. If you direct rainfall runoff from 100m2 of roadway/hard-surface into a raingarden or similar system (if it currently discharges to a combined system and is upstream of a flood-prone location), the saving is €38/annum on flood damage, conveyance and treatment. We suspect that the cost of maintaining a small surface-water detention area/raingarden would be more or less the same as the cost of maintaining a gully. We expect that, during the summer months, most of the rainfall will be held back from entering the sewer system and instead will either evaporate or be soaked up by specially-selected plants. During the winter months, when evaporation levels will be low, the rain boxes will still have the effect of slowing the flow rates to the sewer, reducing flooding and sewer overflows downstream during extreme rainfall events. An overflow is built into the base of the planter to ensure that it does not overflow from the top. We would like to test these new systems over a period of about 12 months, inspecting them during rainfall events to measure their impact on flow reduction in the sewers downstream, getting feedback from residents, and getting a better idea of the sustainability of these methods when compared with typical drainage methods. From the study we hope to get a better idea of the issues involved in implementing these surface-water management solutions on a larger scale – the costs involved, the cost savings achievable, public engagement and reaction, and the technical and maintenance issues that may arise. Each Rain Box Planter serves two houses (the downpipe is at the boundary between the two houses). This leaflet was given to the residents, and if they were happy with the trial (all were), we placed it outside their house. We planted different mixes of plants in each planter box. As they all receive the exact same amount of rainwater (same roof size), and are in the same orientation, it’ll give us some indication as to whether any of the plants absorb more water, fare better, or simply look better over time. We’ll also be watching to see whether they cause any types of negative interactions – such as gathering litter (accidentally or by people directly littering into them). If they’ve a tendency to gather litter, it could negate any positive benefits of having plants on a street. They will reduce the amount of rainwater reaching the main drain. They will not require significant levels of maintenance from either residents or DCC. The residents involved will view them positively. They won’t cause anti-social behaviour (littering, syringes, etc) at any unusual or significant level. The local community (and their political representatives) will view them positively. These assumptions will be measured against a selection of these metrics. This project has minimal financial costs associated with it (approx €1,250) and required an initial amount of circa 20 hours of staff time during preparation and installation and circa 1 hour of staff time on reporting a month. It may be possible to link this to existing DCC initiates around community and planting. It’s very likely that it would link well with other water-saving endeavours such as water butts (for example in people’s rear yards). Finding the funding for this project. Whether locations will be suitable across a wider city (for example it may not work well when there are narrow pavements). It will require the full support of the residents and it may also require them to work slightly together (as it’s at a shared downpipe and location). Being used for anti-social behaviour (such as the dumping of drug-taking syringes). Ownership and maintenance (including replacement costs, perhaps insurance costs). We will review this project, and issue a Report Card at the end of the trial. 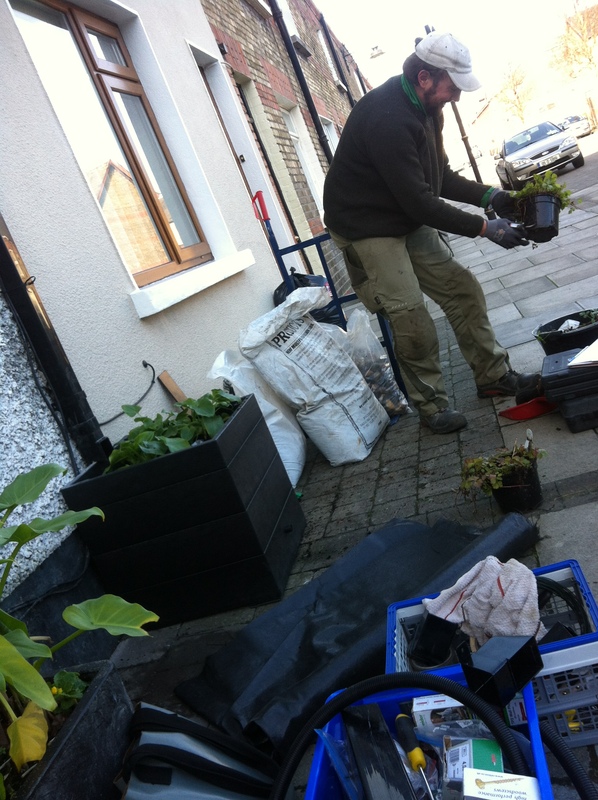 You can see 3 Rain Box Planters on Ormond Square and 3 Rain Box Planters also on Gray Square. How would you change or improve the idea? Do you see ways to combine it with other items – such as seating, or visitor-bicycle lock-up? Any suggestions regarding the planter box or the plants? Any comments on the general idea – for example in relation to narrow pavements, or perhaps differences in Dublin neighbourhoods? This entry was posted in 2. Environmental, 3. 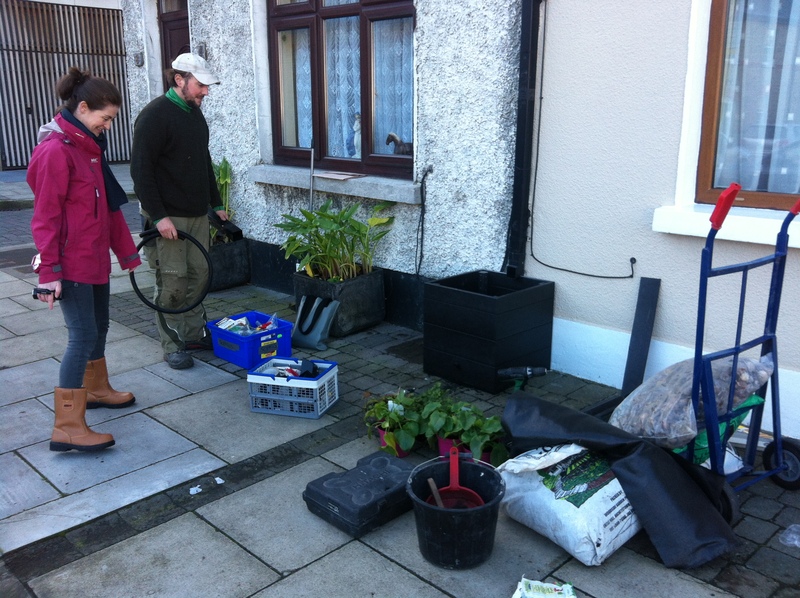 Moving About, Beta Project macro, Fiona, General Thoughts & Future Betas, Shane, Surface Water Management. Bookmark the permalink. 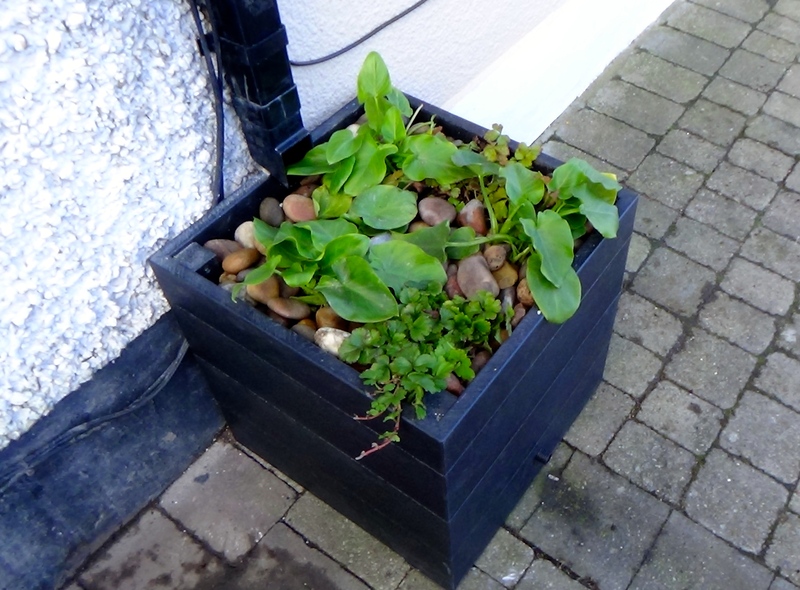 Marc Rafferty here and i live in primrose st, broadstone d 7 and would love one of these trial plant boxes at my house as these problems exist for me. Think this is a great idea. Would love to see this implemented across the city. I think in Cuba they use a system like this to grow fruit and veg in public spaces. I live in Broadstone and hope you pilot this project in the area. This is a great project. It makes an enormous difference to the hard numbers and to the science of urban life on the planet…..and contributes equally importantly if unquantifiable to the to the quality of our urban lives. More planting please …this is great. We would really like to purchase these box planters for our school- please advise how we can do this? Hi Sinéad, thanks for your interest. We have your email (from your comment here), so we’ll send on some info!